When you are roaming the wilds, either alone or away from your unit, you have to be mobile. That does not mean forgoing protection, though. In this Scouts Leather Cuirass, you will have a warriors defense while also maintaining a high level of agility. 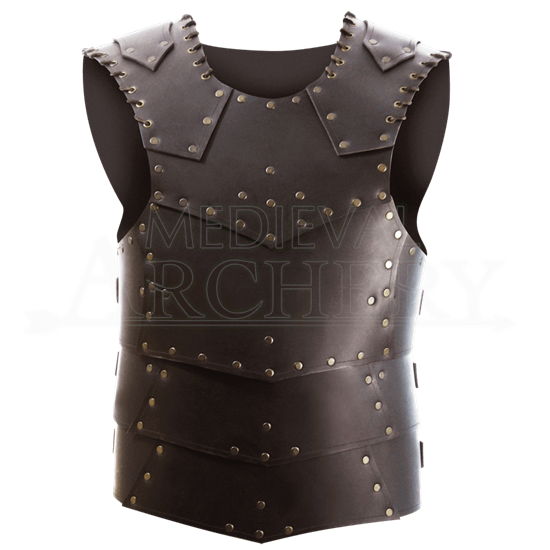 The armor consists of layered leather plating that covers the core of the body, wrapping over the shoulders and providing protection to the chest and abdomen. Leather lacing adorns the shoulders and antiqued brass rivets add color to the armor. It is made using thick 9-10 oz. leather. It is offered in four different sizes, which are highly adjustable thanks to the straps and buckles that secure the armor about the waist. 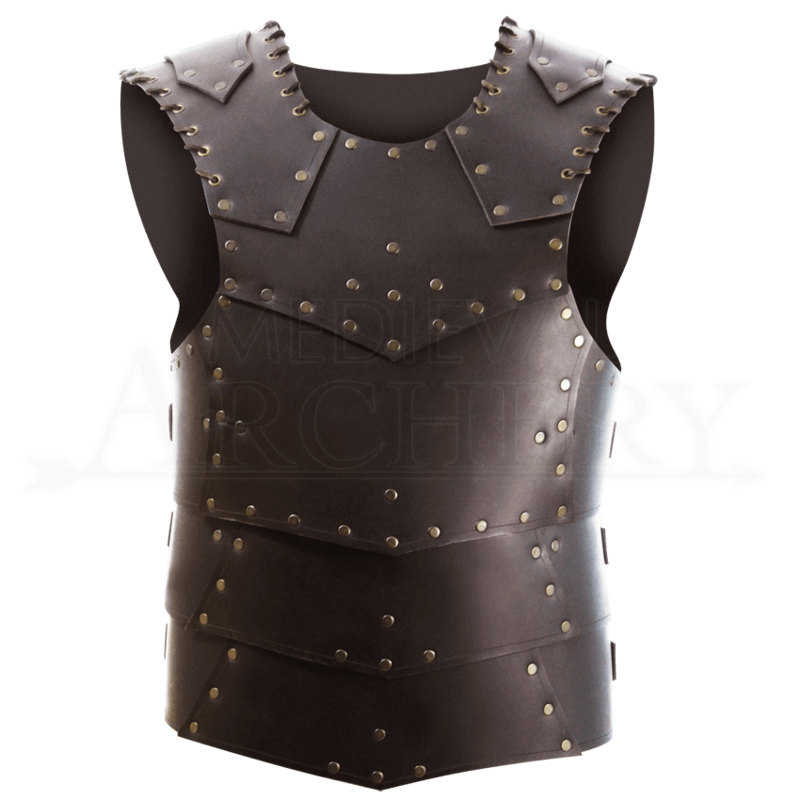 Rangers, trackers, and more will find that this Scouts Leather Cuirass is a perfect piece of armor to wear, thanks not only to being light and comfortable but also protective as well. Couldn't be happier, fit and look is top shelf. Worth the price.